This is a useful test to carry out if you’re shopping for a used turntable or having trouble with a skipping stylus. 4. 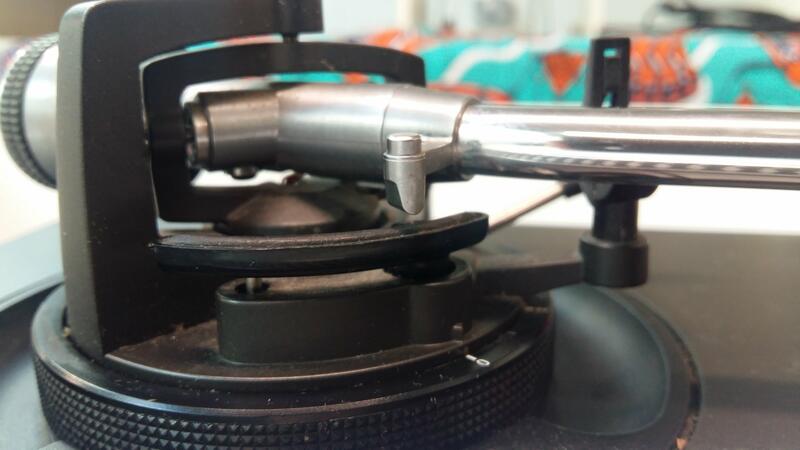 While carefully holding the finger lift at the headshell / cartridge end of the tonearm with one hand, use the other hand to move / rotate the counterweight until you find the floating / zero balance point of the arm. This means that, with the arm lift fully down, when you let go of the tonearm it stays balanced and parallel with the platter or body of the turntable. It does not tilt backwards so that the cartridge points up at the ceiling and it does not drop down so that the cartridge touches the platter or turntable body. 5. With the arm now balanced you should be able to blow it very very gently or give it the slightest tiny little tap with your finger from the side and it should move slowly and smoothly to the centre of the platter, hit the centre stop and bounce back again to the arm rest. Watch carefully for notches in the movement. It should not stop or pause or appear to have hit an invisible obstacle. 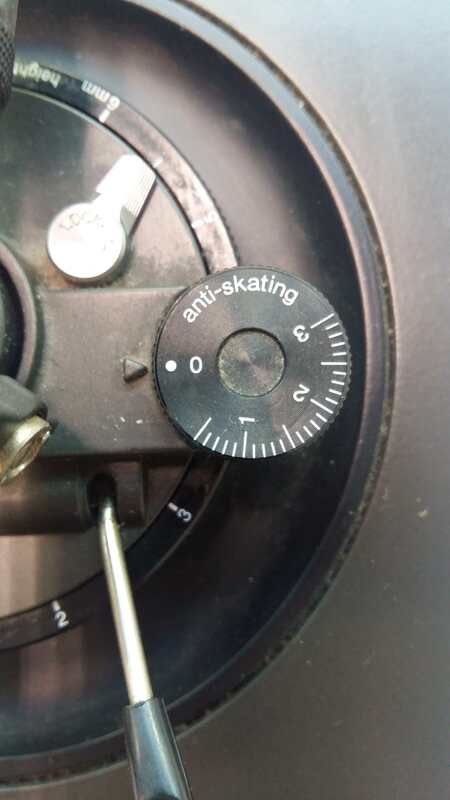 It should not take any force to make it move; just a gentle short single blow of air should be enough to move it all the way there and back again if the bearings are in good condition. If the arm stops suddenly, has notches in its movement or appears stiff and requires constant blowing to get it to the centre then your lateral bearings are worn or damaged. Repairing this is absolutely not something you should attempt yourself. 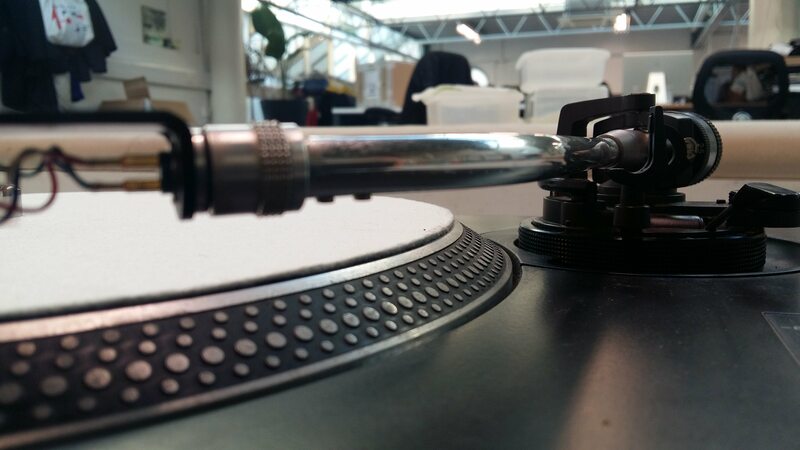 Save yourself a lot of time, money and frustration and take your turntable to a reputable technician or service centre. Volume Unit is a new turntable servicing business operating out of Ransom Note Records in Forest Gate, appointments and bookings are now available. More information can be found HERE.